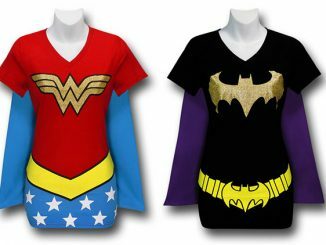 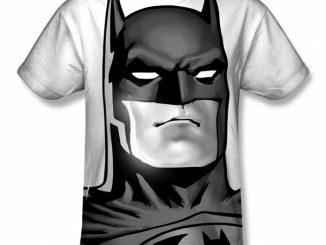 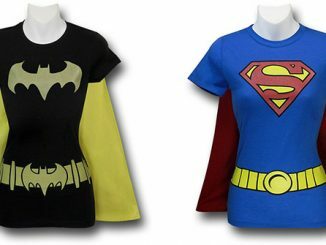 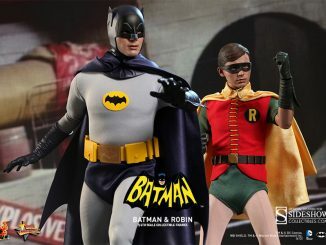 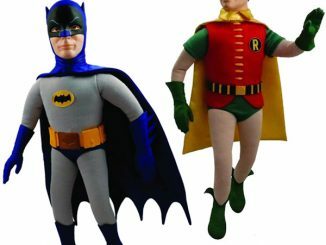 You and a friend can become the Caped Crusaders with the 1966 Batman and Robin Costume Allover Print Adult T-Shirts, or you can simply alternate being either Batman or Robin yourself. 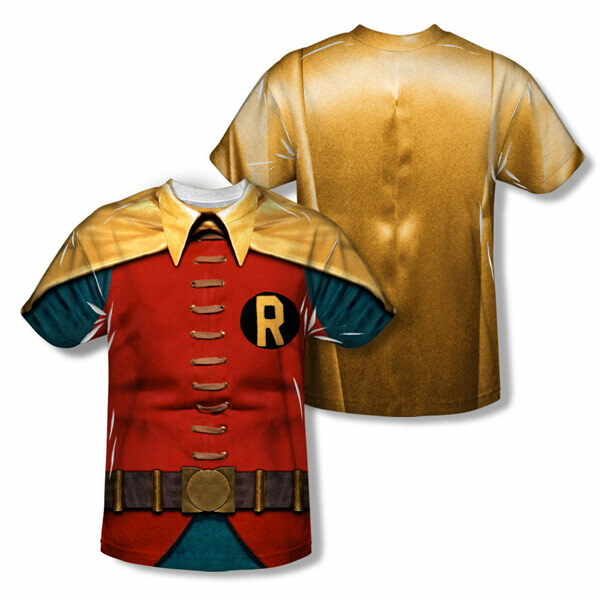 Each 100% polyester tee has gone through a dye sublimation print process to create all-over images of Adam West’s and Burt Ward’s classic looks from the 1966 Batman TV series. 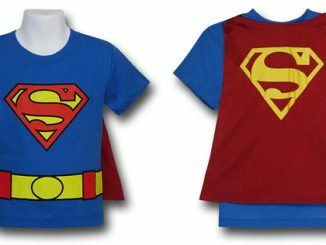 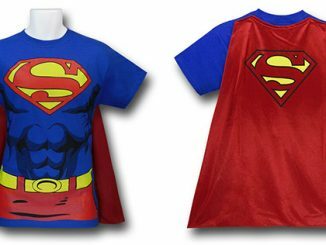 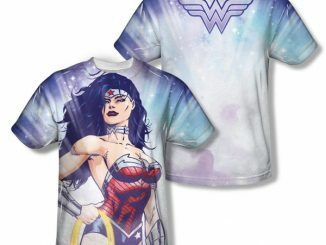 While the back of the shirts basically just show the capes, it’s still a cool visual, and the detail shown on the front of the shirts leaves no doubt about the character being portrayed. 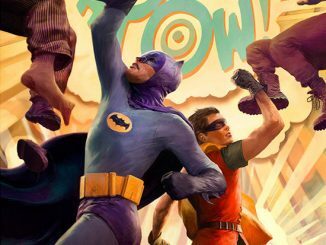 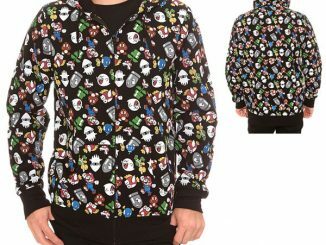 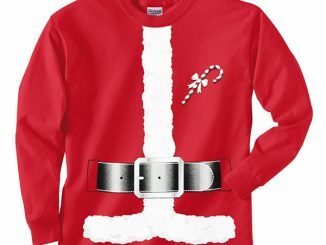 Just find some grey pants or green shorts to complete the illusion and people will really think you spend your free time battling people like the Joker and the Penguin. 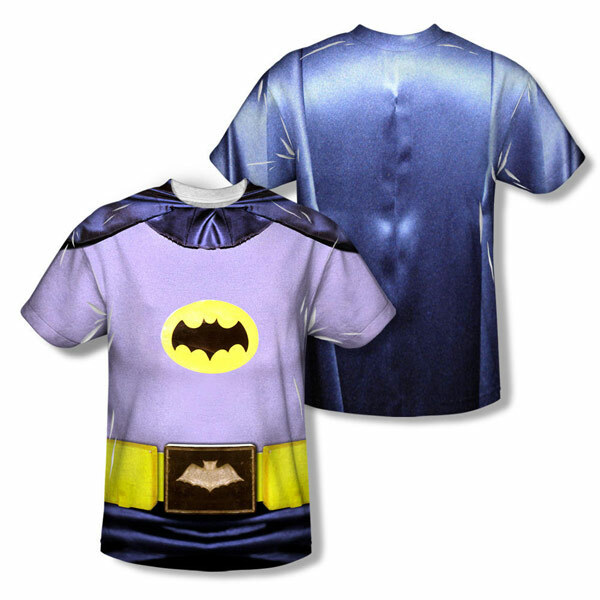 The 1966 Batman Costume Allover Print Adult T-Shirt and the 1966 Robin Costume Allover Print Adult T-Shirt are each available for $36.95 – $39.95 at the WBShop.com.